SciBrow provides an interactive webbrowser environment for the visualisation of single cell genomics with the purpose of detecting contamination of given DNA contig scaffolds. 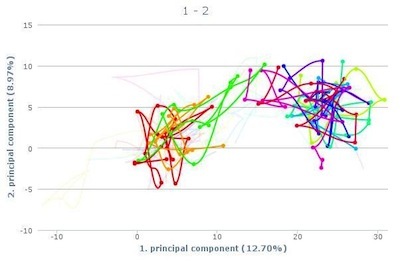 For that purpose data is processed by SciBrow using principal component analysis based on a vector matrix generated by random k-mere annotation on the given DNA sequences. Each given DNA sequence is then projected onto the first three eigenvectors and each data set is then plotted against each other generating three line graph which can be interactively explored.